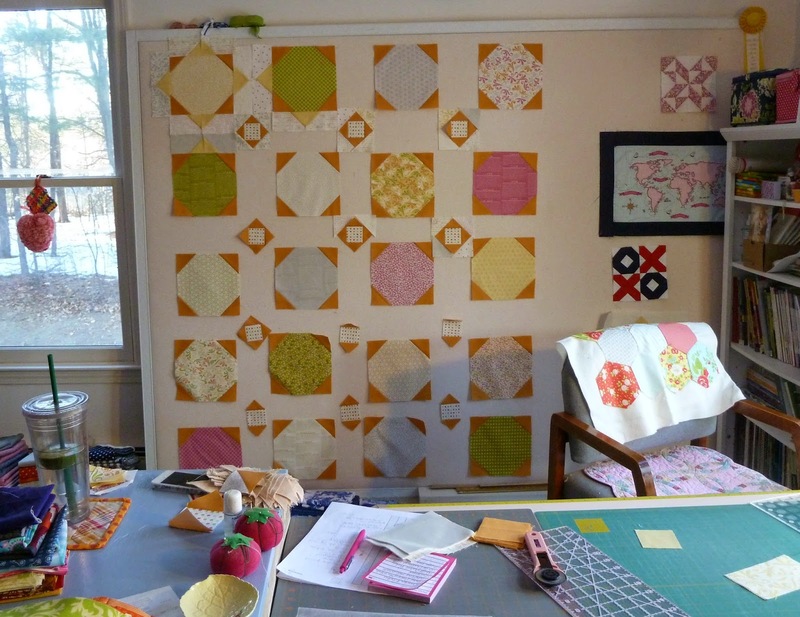 So I had been cruising along on my Sunkissed Strawberry Fields quilt when I hit a speed bump... I ran out of low volume fabrics for my sashing. Since I was really enjoying working on such a sunny project despite the never-ending bitter cold here, I decided this was a good time to do something with all the bonus triangles I made from the snowball blocks. 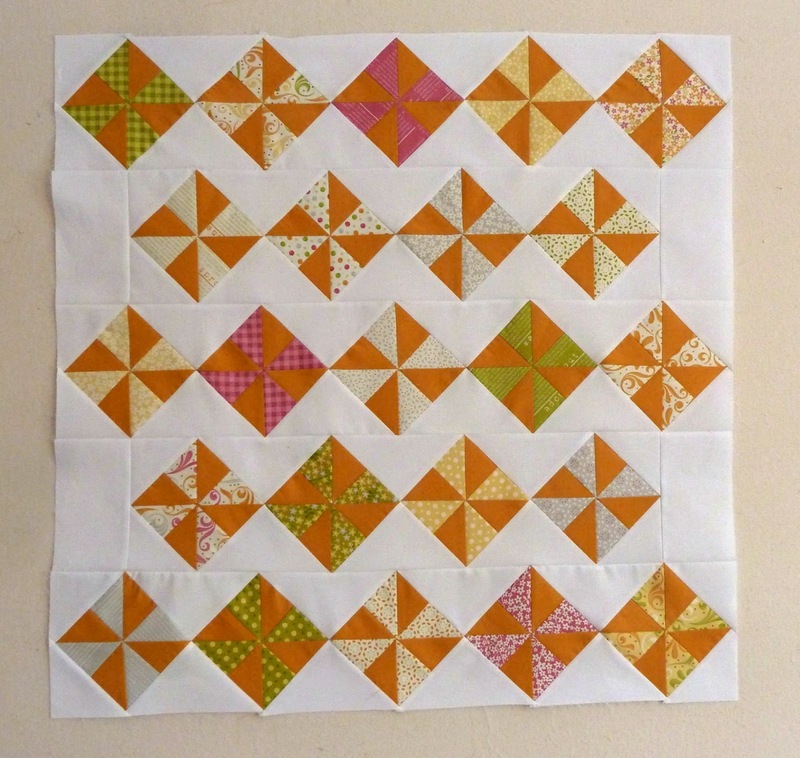 As soon as I realized I had 4 HSTs of each print I knew exactly what I was going to do with them... pinwheels! I just LOVE HST! So cute!